What Market Research Trends Scare You or Excite You? I know - I know - it's hard to start thinking about the planning cycle for 2011 during these summer days. But summers aren't lazy anymore since we can't stay away from our mobile and computer screens, so we shouldn't be lazy either. Here at QuestionPro and Survey Analytics we're starting to think about the Market Research Trends that scare us and excite us. The really fun part about this conversation is that part of our audience is scared and the other part of our audience is excited -- and all about the same trends! One huge trend that fits that bill is the whole DIY Marketing movement. Of course, having the DIYMarketers brand, I'm a little partial and excited about DIYMarketing as it pertains to market research - but you might not be. So tell me - which DIYMarketing trends scare you and which ones excite you?! On Thursday July 22nd, 2010 over 118 participants signed up for Survey Analytics and Dorian Simpson of Planning Innovations presentation on: How to Use Conjoint Analysis In the Innovation Process. Participants posted the following questions and both presenters, Dorian Simpson of Planning Innovations and Esther LaVielle of Survey Analytics, responded to each one. SA - At Survey Analytics we offer a robust yet easy to use Discrete Choice Conjoint Analysis tool. Guidelines are provided to ensure data is concise and accurate. We also provide a market segmentation tool, which offers you an opportunity to “test” new product ideas against your current data to help predict possible market share. DS – It’s important in the lead in that you let the respondent know that YOU are taking the survey seriously and that you would appreciate if they do also. This is less of a problem if you’re using your own databases. You should also try to screen out responses that are obviously completed just to finish, such as never varying their response. SA – I agree with Dorian. Respondents always appreciate an introduction that is upfront with your intentions. Be honest with how long it would possibly take and provide an incentive that appeals to your targeted sample. In my experience of working with internal databases, you will become “familiar” with those who are not truthful or do not take your surveys seriously and can remove them from future surveys. 3) What should be the minimum sample size to conduct conjoint...any lower and upper limits and implications of sample sizes...for calculating utility values...(help me on the sample size limitations) ? SA – This depends on your target market. The larger your target market, the larger your sample should be for statistically significant data. The general rule of thumb for Conjoint Analysis is usually a minimum of 200-300 completed surveys. This, however you can go down to 100 completed surveys if your target market is relatively small. 4) Most use cases of conjoint focus on consumer electronics/durable goods. Is there a case for using conjoint in the FMCG/CPG industry? As you can see in the results Dry Fruit had the highest relative importance compared to other ingredients whereas Nuts Type 1(sesame seed and sunflower seeds) did not make an impact on choice. 5) As attributes and levels are important in conjoint what should be appropriate "no" on attribute levels? SA – It would depend if the feature is something you may want to add or not. 6) Did you ask the "why" questions such as frequency and power questions in a study after the conjoint study? DS/SA - It has been investigated in other research and will be tested again further. 7) How is conjoint used in the launch of a service business versus a product launch? DS - Can be used similarly. E.g. Instead of price it may be price/mo., etc. You must identify attributes and levels similar to a product. SA – A fun example is a hair salon. What kinds of services will you offer to your clients and at what price do you think they would pay for it?As Dorian said you must identify attributes and levels similar to a product. 8 ) With 6 attributes and multiple levels, how long was the [example] survey? I assume that you used experimental design to shorten the length of the survey? SA – The case study survey that was used during the presentation took respondents on average 15 minutes to complete. 9) Do we see conjoint analysis used often in the food industry...specifically for product development? SA – Yes. Conjoint Analysis can be used in any industry that is interested in doing a trade-off analysis of some type. Whether it is on a medication a pharmaceutical company is trying to develop or a new kayak model that would appeal to families with young children, Conjoint Analysis can be used to provide guidance in those industries. 10) Is there max levels else of options to ask in choice task? SA – The minimum is 2 levels per feature/attribute. The standard is to stick to no more than 3-4 levels per feature/attribute. Every once in a while going up to 5 may be needed depending on the feature needed to be test. 11) Can I use conjoint in B2B surveys where sample size will be usually low almost 100 customers. In what cases can I use? DS – You’ll want to keep the number of attributes and levels reasonably low. SA – The fewer the respondents being surveyed the fewer attributes and levels should be used. At this point in your research you should have highly defined features and levels that would fit your targeted sample size. 12) Is there any relation between the number of attributes and minimum number of respondents required to get the results from Conjoint Analysis? SA - From a technical standpoint, the system does NOT impose any limitations. You can have unlimited attributes and unlimited levels within each attribute. 13) What is the ideal task count? SA - Our experience has shown that there is a precipitous dropout rate after about 15 tasks. Unless there is a strong personal incentive for the end-users to complete the survey, we would suggest keeping the number of tasks to fewer than 15 especially in cases where users are volunteering to take surveys. Please keep in mind that conjoint product selection is a little more involved than simply "answering a survey question" -- users have to comprehend each of the attributes/concepts and then make a choice. 14) In the cases study in the webinar price was one of the key features. I didn't get how the results are interpreted. Can you explain it again? 15) When you say "market share", you mean "share of preference", right? SA - Yes, that is correct. 16) Don't we need any intelligence in the tool when designing the conjoint study? The tool may generate a profile which has worst features but its price is highest. DS - This is true, but this is part of a conjoint analysis to understand what your customers deem which attributes and levels are the worst. I don’t think you want to limit options for a high price and low attribute levels. SA – We have built intelligence into our conjoint tool such as the prohibited pairs tool to ensure certain combinations that are not possible will ever show up. We must be careful in using this tool because the idea is not to limit the profiles based on what the client will not do, but to find out what resonates higher with your audience. We also provide a concept simulator that will calculate the number of times an attribute will be shown given the approximate number of people who will complete the survey. 17) I have QuestionPro enterprise account. Do I have access to conjoint analysis tool? SA – No you do not have access to this tool. To access the Discrete Choice Conjoint Analysis tool you must upgrade to Survey Analytics. 18) Is it possible to get a copy of the slides from the presentation? 19) When you changed the price for the subwoofer [in market segmentation simulator], you used $800 (a level that existed in the study). Can you use a price that is not in the study, such as $900? SA – No you cannot. Before begin starting the conjoint analysis tool it is critical to have highly defined features in attributes before starting. In the case of our example in the presentation, we have established that $600, $700, $800 are the price points to test. Any other price points would require another conjoint study to be run before using the market segmentation simulator. 20) What kind of conjoint analysis is better: adaptive or choice based? SA – This depends on what you are interested in retrieving data for. If you are looking for data that mimics the purchase process then the Choice Based (Discrete Choice) Conjoint Analysis is the better bet. Adaptive Conjoint Analysis (ACA) is a computer-administered, interactive conjoint method designed for situations in which the number of attributes exceeds what can reasonably done with Choice Based Conjoint Analysis. 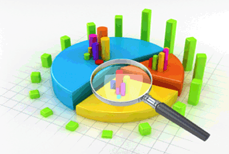 Survey Analytics specializes in Discrete Choice Conjoint Analysis. 21) If we have a product with 15 attributes and 5+ levels, is there a way to figure out it? DS– It’s important to focus on the most important attributes that really drive decisions. You’ll probably want to do preliminary research such as interviews, focus groups or short quantitative to narrow it down. 22) You have said market share is a result from the utilities obtained, but this isn't correct. Is it? SA - Market Share: % of Profile 1 / All profiles in simulator based on % on relative importance and # of responses seen. 23) What other kinds of conjoint exists? How can I compare advantages & disadvantages with method seen today? 24) In your experience what was your worst result in a conjoint study? I mean when results were not logical or useless? DS– Can’t really say. Most studies have had some “interesting” results that needed further investigation, but they’ve never been useless unless the company didn’t do the upfront work to understand the right attributes and levels. SA – With Survey Analytics we appoint a dedicated account manager who will help with conjoint studies to ensure statistically significant data. A few weeks ago, Research Access had an article that talked about cleaning data from panels. One of the methods was to remove all the "extreme" responses that occurred in rating scales. If you've ever received a survey with too many matrix rating questions and then mindlessly checked all the lowest ratings, mid-ratings or high ratings -- you know who you are and you know what I'm talking about. This put a bug in my mind about those people who never give the highest rating -- or those people who consistently give a high rating. In many ways, they are no better than those panelists who were mindlessly answering their survey. In other words -- their responses were suspect in being valid answers to help us make a decision. Then I ran into this article by Jeff Henning and realized that I wasn't the only one thinking about this. In fact, people much smarter than I'll ever be have done loads of research on the topic and have come up with several solutions that I'm going to show you here. Binary scales – As far back as 1946, to minimize response style bias, Lee Joseph Cronbach (ofCronbach’s alpha fame) advocated using two-item scales: yes/no, agree/disagree, dissatisfied/satisfied, describes/does not describe. Essentially this treats everyone as Extreme Response Style responders. Choose-many questions – Presenting a list of choices and instructing the respondent to “select all that apply” is an economical form of binary scale, prompting respondents to choose the items they agree with, find important or are dissatisfied with. Ranking questions – Another way to avoid traditional response bias is to use ranking scales, where each choice on the scale may be used only once: most important to least important, most satisfactory to least satisfactory, most likely to least likely. So it isn't just panels that can "dirty" your data enough to mis-represent how respondents really feel. Response bias comes in as many shapes and forms as there are human opinions. The key point here is that decisions are ultimately made by human beings. Managers and business owners can use survey data as an additional information resource to help them decide -- sort of like the "Ask the audience" option in "Who Wants to be a Millionaire" but that doesn't mean you shouldn't use your own judgement. Can a Blog Help You Groom Your Audience for Brand Research? A blog is such a wonderful marketing tool. I can't help but see your company's blog space as a "computer billboard." In so many way's it's like FREE advertising and education space where you can groom your audience to see you as you want to be seen. Too often, companies treat their blog as a chore. That's too bad because it's an opportunity to really build your brand and establish your company as THE one to choose when your customers are looking for what you are selling. Not only that, but you can actually bring your audience into the conversation, ask questions and actually read their responses. It's not exactly a focus group, but it really does give you more control over your message and interacting with your audience than you can hope to have through direct marketing or advertising. Because you have blog registrants and subscribers, you can post articles about products or services and then direct your audience to a survey afterwards. In what creative ways have you used your blog? It was just a matter of time before surveys went mobile. Welcome the latest entrant into the mobile survey sphere -- Thumspeak. This is a terrific tool that allows businesses to recruit a mobile panel of respondents and collect feedback via phone. Research Access has a terrific industry news write up on this trend. I'm going to give you my impressions of Thumspeak in this article. When you land on the website - you'll see right away that they are recruiting panels of mobile users AND business customers. Right away, I'm clear that if I'm going to use this application and the panel of mobile users, I have to be clear that my sample is "self-selected" to include people who use apps on their mobile phone. I know, a lot of people do -- but I still think that the kind of person that's going to take the time to do a survey on their iPhone is psychologically different from a person that uses their mobile device in a purely utilitarian way. Registering is easy. It takes less than a minute to fill out the form and start your free trial of questions. You get to create a survey with 5 questions. I created a quick mobile survey questionnaire and got this email as a response. I sort of wish they had given me this FIRST - I think I would have asked better questions. Here is what happens immediately after you clicked on the submit button. (1) Thumbspeak staff will quickly approve the content of the questions just to make sure it is appropriate for our audience. (2) After approval, our system will deliver your questions to our mobile opinion network for a quick 100 answers. (3) We then package your results with an incredible amount of data so you can gain insight from on-the-go mobile users. They also give you a link to give feedback -- I'm going to do that right now. Click over to Thumspeak and explore it for yourself. What's been YOUR experience? On the game show "Who Wants to Be a Millionaire? ", players have the option to "ask the audience" if they are stumped on a question. When they ask the audience, a chart shows up and shows how many audience members voted for each answer. Usually (I've never seen it go otherwise- but I'm not an avid fan), the player picks the answer that the majority of the audience members chose. The idea is that a group of people is smarter than the individual. This is also called "Crowd Sourcing" and it's the principle behind IdeaScale and most other research. But it isn't always the best resource to use. Check out Andrew Jeavons latest article in Research Access brings up a fascinating discussion about more strategic uses of your crowd in order to actually improve your process and solve real problems. A critical component of questionnaire design is choosing a rating scale. This is just one more reason that it's a good idea to use the question and scale libraries that QuestionPro and Survey Analytics features -- you can't go wrong. But then you get people who just take it too far and then confuse the respondent. Mike Pritchard, from 5 Circles Research outlines some wonderful comparisons between Net Promoter rating scales and satisfaction rating scales. Read more about how to design a survey with the right rating scale. Have You Ever Caught Yourself Being Biased in Analyzing Your Survey? Have you ever noticed that when you're in a good mood, you listen differently. You react to circumstances differently. It's as if nothing can get you off balance. If someone cuts you off on the highway, you take it in stride. If your friend or spouse give you a sideways glance, you don't even think about it. And then, there are the "bad" days. Where it seems nothing goes right and those very same things that you didn't even notice before now seem like a personal assault on your very being. Welcome to the normal functioning of your brain. For every bit of non-emotional fact or piece of data that your brain receives, it attaches an emotional component -- all the better to retain it and make sense of it. That's really what the brain does. It observes a pattern, attaches an emotion and then assigns it meaning. Usually this is very useful. It's how we're able to get through the day in 24 hours instead of 24 years. And at the same time -- it can create some interesting situations when we're processing survey data. We often talk about sampling bias or response bias, but have you ever sat down and talked about analytical bias? "It's no wonder our scores are low last march. That was when the new software went live -- it was a mess remember?" "We just sent out our latest price list. That region got hit with an increase and they also got the survey invitation the next day -- no wonder the numbers are low." The implication is that we know what happened, we can explain it and that makes it ok. The truth is -- we don't really know what happened. All we know is that we sent survey invitations out on certain days. Respondents gave us lower scores during those times. There could have been any number or reasons. The point is that our natural bias can cause us to miss something that might be just below the surface -- just AFTER that point where we've put forth the "reason." Look. I have no facts to support this -- I want to hear from YOU. Have you ever caught yourself unconsciously introducing bias and what were the results? There are many creative low cost ways to get some really terrific behavior based research done these days. Tim O’Connor, CMO of PCDI/Ashworth our guest columnist on Research Access calls it "Dry Testing." Basically, instead of asking people about what they've done or what they might do, you are drawing them in with an ad for an offer, taking them to a landing page describing the offer and then asking some questions around that. Now you might already be thinking that this might sound a little shady -- a sort of bait and switch technique. But it isn't. In his article Tim outlines some FTC guidelines and then shows you exactly how to create this type of survey yourself. No representation is made that the product definitely will be produced. There must be adequate notice of the conditional nature of the offer. Those who order are promptly informed if it is not produced. There can be no substitution of another product." Not I would argue that this is a "feature enhancement" - but we've made it easier for users to switch between surveys as they are navigating screens. This upgrade is being rolled out and you should see it in your account over the next couple of weeks.